Rolls are the primary tool for shaping the material, setting the roll final dimensions, surface finish and mechanical properties. Depending on the service conditions, the strength of backup rolls is achieved thanks to complex alloying using chromium, molybdenum, vanadium, etc. The roll metal quality is inspected by means of ultrasonic flaw detectors at all main manufacturing stages. 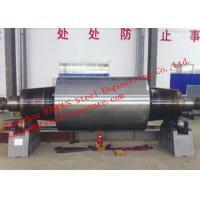 All backup rolls are made of vacuum degassed steel. Handcrafte furnace rolls are comprised of statically cast trunions (ends) welded to a centrifugally cast roll body with our unique locking mechanism. 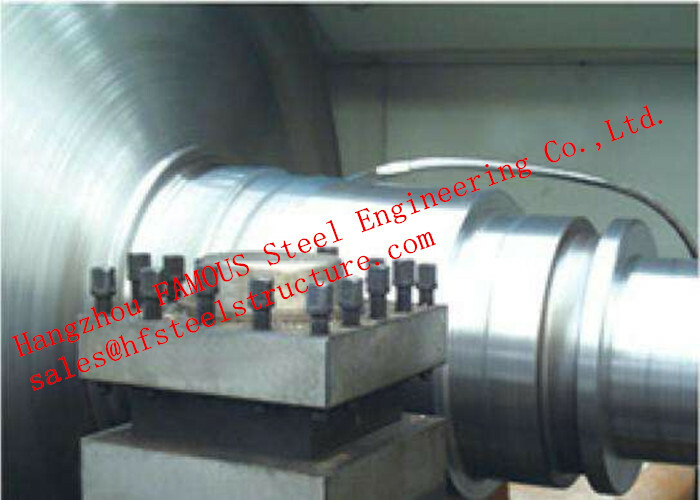 Rolling mill for hot rolled or cold rolling metal sheet or billets etc. Backup rolls - are intended to provide rigid support required by the working rolls to prevent bending under the rolling load. Rolling balance system - to ensure that the upper work and back up rolls are maintained in proper position relative to lower rolls. Roll cooling and lubrication systems. Pinions - gears to divide power between the two spindles, rotating them at the same speed but in different directions. Gearing - to establish desired rolling speed. Drive motors - rolling narrow foil product to thousands of horsepower. Electrical controls - constant and variable voltages applied to the motors. Coilers and uncoilers - to unroll and roll up coils of metal. 1) Material: Alloy Steel, Alloy Iron, Ductile Iron namely 9Cr3Mo, 70NiMoV etc. 5) Chemical Composition and mechanical property: as specified. Packing and preservation methods depend on the contract conditions and on the climatic zone where the rolls are going to be supplied, as well as on the transportation and storage conditions. The items ready to be shipped are covered with a preservative coating – several layers of primer and enamel. The roll necks are wrapped into anticorrosive paper with polyethylene coating and into waterproof paper. we can do various customized work rolls ranging in different sizes and processes. please feel free to make any enquiries accordingly.